Jack MacKenzie demonstrated an unparalleled dedication and passion for physical education and Saskatchewan nature. After leaving the Brandon School Board in Manitoba, Mr. MacKenzie joined the Regina Board of Education in 1956, and was instrumental in innovative curriculum development in outdoor and physical education. A shining example of this was his co-founding of Saskairie, an outdoor educational centre in the Moose Mountain area. In 1999, the Regina School Board named Jack MacKenzie Elementary School in his honour. To acknowledge this recognition, Mr. MacKenzie commissioned an artist to sculpt The Joy of Effort, a bronze statue of children and created the Joy of Effort Award, given annually to the student best exhibiting the joy of effort and achievement. He also established a charitable foundation for elementary schools to implement acts of kindness for vulnerable persons or environments. Jack organized canoe trips with Cree youth and leaders in Northern Saskatchewan and worked with the Discovery Channel to develop a series of educational films about learning and teaching in outdoor environments. He also developed instructional videos on Camp Craft for the Kelsey Institute in Saskatoon. He served as president to a number of organizations including the Saskatchewan Camping Association, Regina Natural History Society, and Saskatchewan Physical Education Association, as well as founder of the Saskatchewan Outdoor and Environmental Education Association (SaskOutdoors today). Jack received numerous honours and awards throughout his lifetime including the R. Tait McKenzie Award of Honour from the Canadian Association for Health, Physical Education, Recreation and Dance. In 2007 he was inducted as a Fellow of the North American Society of Health, Physical Education, Recreation, Sport and Dance. Susan MacKenzie, Jack's niece described him as “larger than life, standing 6’4 with a size-14 shoe. 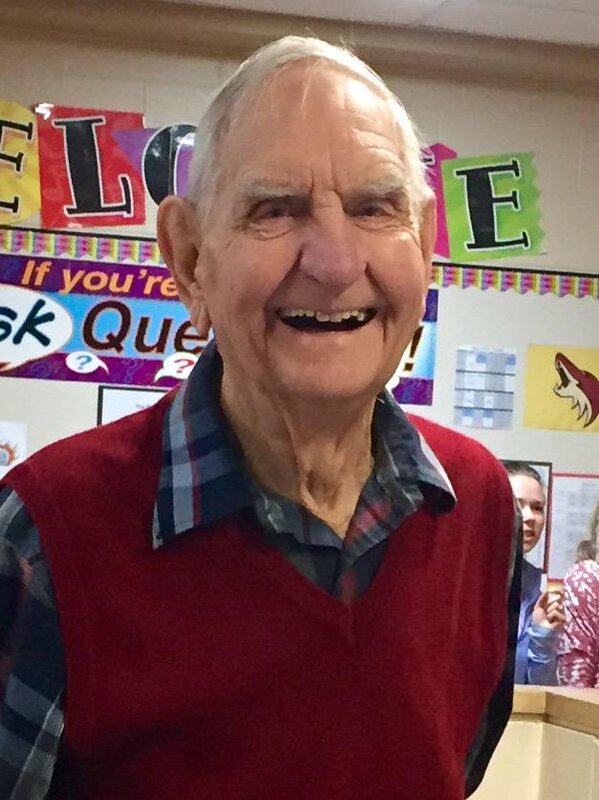 He was an avid believer in education, fitness, the outdoors, random acts of kindness and the joy of effort for students in all areas of schooling. He dedicated his life to the education of children” (CBC News, 2018). Jack passed away on August 22, 2018 at the age of 90 years.